• Commercial ELISA’s are designed on various antigens to discover previous field infection. 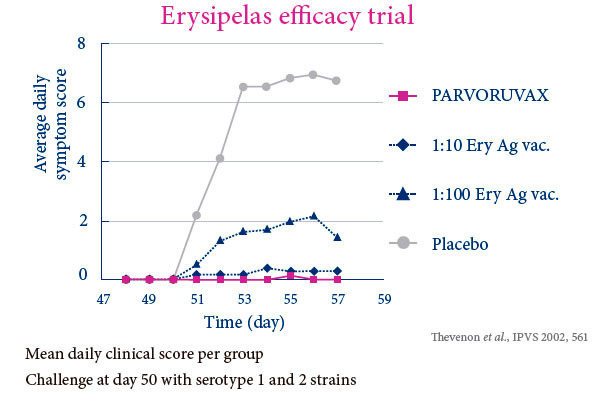 Parvoruvax® Suspension for Injection contains Inactivated Porcine Parvovirus (K-22 strain) and Erysipelothrix rhusiopathiae (lysed bacterial cells), serotype 2. Also contains aluminium hydroxide and thiomersal. 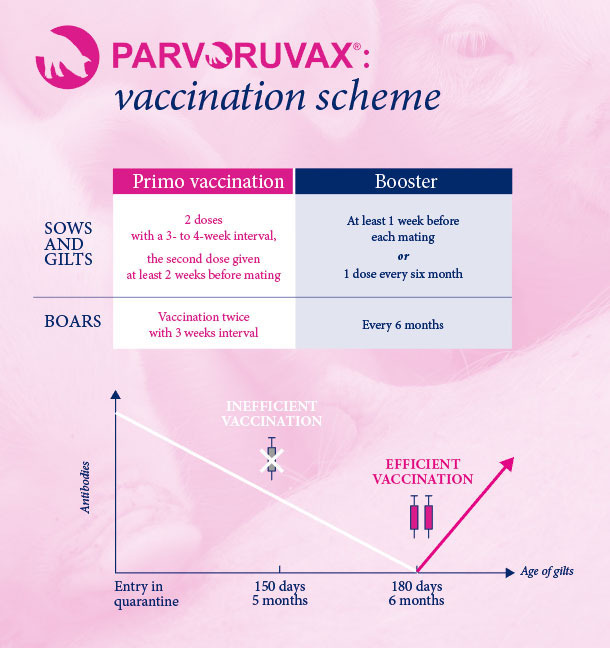 The product is indicated for active immunisation of breeding pigs (sows, gilts and boars) against porcine parvovirosis, to reduce the number of stillbirths and mummified piglets, and against erysipelas to reduce or prevent clinical symptoms. Vaccination can occasionally cause reactions of hypersensitivity in some animals, particularly in those animals sensitised by the erysipelas infection. In such case, appropriate treatment such as adrenaline should be provided. 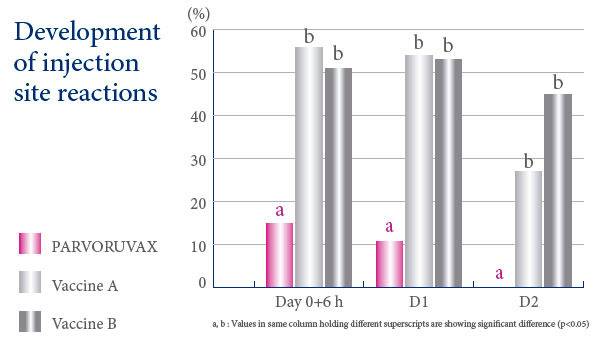 Rarely, vaccination can induce a small local reaction (<1.5 cm) at the site of injection without any effect on the health or productivity of the animal. 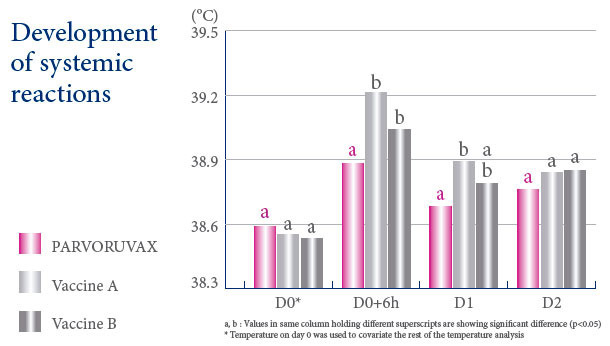 The vaccination can cause a slight rise in body temperature (<0.2°C) that returns to normal values from 1 to 2 days after vaccination without any consequence to the health or productivity of the animal. Primary vaccination against porcine parvovirosis should not be carried out in the presence of maternally derived antibodies. 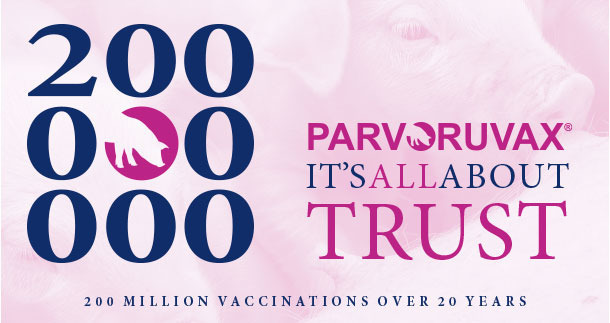 Only healthy animals should be vaccinated. The vaccine is safe for use during pregnancy and lactation. However, avoid vaccination during the 3 weeks following service mating. Withdrawal periods: Zero days. Pharmaceutical precautions: Use immediately after opening. Store between 2°C and 8°C, protected from light. For more details, see the SPC applicable in your country. This page contains information on a veterinary biological product sold in several different countries and areas where it may be subject to different regulatory approvals. 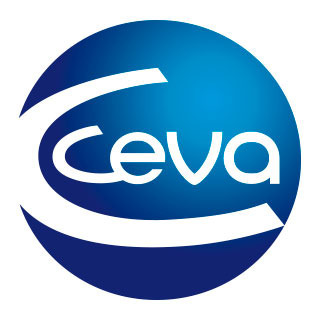 Ceva gives no guarantee that the details presented are correct with respect to all locations. In addition, the safety and efficacy data and the withholding periods may be different depending on local regulations. Please consult your veterinarian for further information.